🌟 I didn’t like and didn’t hate this book but I think it could have been better for sure. I read this because I like the synopsis very much! I thought that I have read something similar before -And it obviously isn’t new but still good- and I found out that it has the same synopsis for Uprooted. 🌟 This book started really good and I thought that I finally found a good book but it became boring shortly after that and for the majority of the story. I liked how it improved toward the ending but for most of the story I didn’t feel the relish of it. 🌟 The world building was good initially and I liked how different people reacted toward the sacrifice thing but I think many things are left in the shadows without much explanation as the witches and magic outside the forest. 🌟 I think it was going well until they go into the forest and go out, I saw many reviews mentioning that it was even boring before that. That was the cut point where every thing changed for me, the writing became all over the place, I was confused and I feel it could have been better if it was told in a linear fashion rather than the jumping that it did. 🌟 A positive thing that I should mention is the diversity of characters in this book, this was an LGBTQ grail and it deals with the subject in a good way. 🌟 I can’t deny that the writing was good at some points but I lost interest one way or another. 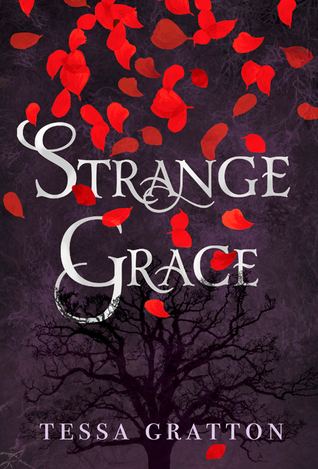 🌟 Summary: Strange Grace is a diverse story with a very intriguing synopsis. The writing was good but the execution was not. This is a further reason to read Uprooted now. I ended up giving it 2.5 out of 5 stars. 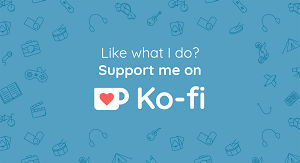 🌟 Prescription: Read the synopsis and see if you like it, and if you don’t mind slow pacing and like diverse characters the this book for you. If not, then Uprooted may be an alternative. I’m reading this right now. 17% of the way through and I’ve lost all motivation to continue…the synopsis looked fascinating but nothing has really happened yet. Does the pace pick up eventually? Oh no I am so sorry you lost interest on this one, Hamad! I will admit the pacing got a little difficult near 30% in or so but I loved the characters and atmosphere so much that I forgave the pacing. I hope you have a good read soon!